Species name meaning 'outstanding, or superb'. Ficus petiolata Reinw. ex Miq. A hemiepiphytic, strangler tree that can grow to 35 metres tall in the best sites, or a smaller spreading tree on exposed rocky slopes. The bark is grey or reddish brown. Rough with scales, cracks and vertical bumps. White sap appears when a branch is cut. Leaves are alternate, simple and entire, 8 to 12 centimetres long and 2 to 5 centimetres wide, oval or elliptical in shape, mostly with a short blunt tip, and rounded at the base or heart shaped. The leaf midrib is sunken on the upper surface and raised below. 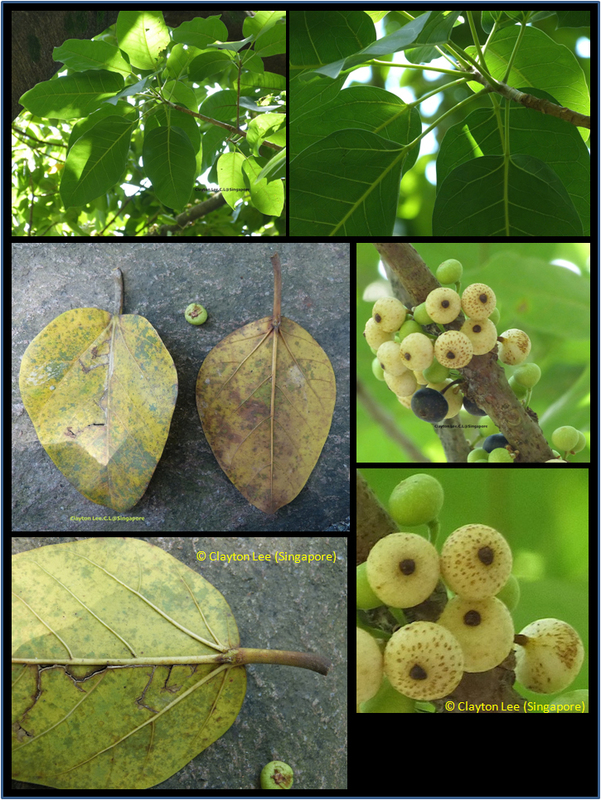 The mature fig changes to a purplish colour with pink dots, globular in shape, 25 millimetres in diameter. The habitat is riverine, littoral or the drier forms of rainforest. The figs eaten by a large variety of birds. The fruit is considered edible for humans, but it is not particularly palatable. A decorative tree with a short deciduous period, it is suitable for parks and large gardens where the generous fruiting attracts birds. From Southern China and Japan into Indochina all the way to Australia. English: Sea fig, Deciduous fig, Ceddar fig.